Eucalyptus radiata essential oil (3 ml) + Niaouli essential oil (organic) (3 ml) + Lemon essential oil (3 ml) . Prepare the mixture in a 10-ml amber glass bottle. Pour a few drops in an electric diffuser. Let it run for 5 minutes every hour. Eucalyptus radiata essential oil (2 drops) + Mediterranean Cypress essential oil (2 drops) + Niaouli essential oil (organic) (2 drops) + Ravintsara essential oil (2 drops) + Macadamianut Oil (organic) (10 drops) . This mixture is suitable for bronchitis with a dry cough. Mix oils and massage the back and chest. Alternate massages: for 2 weeks perform a massage 4x/day. Then, for two weeks, perform 2 massages a day. Let one week go without massaging. Renew in the same order for the 4 following weeks. Eucalyptus radiata essential oil (1 drop) + Geranium essential oil (1 drop) + Tarragon essential oil (1 drop) + Roman chamomile essential oil (1 drop) . Pour a drop of each oil in a bowl of boiling water (or in the water of your inhaler) and inhale deeply for 3 to 5 minutes. Renew 2 inhalations (morning and evening) a day. Eucalyptus radiata essential oil (1 drop) + Peppermint essential oil (1 drop) + Niaouli essential oil (organic) (2 drops) . Pour these drops of essential oils in your inhaler or a bowl of boiling water. Inhale deeply the vapours for 3 to 5 minutes. Repeat twice a day (morning and evening) until improvement. Eucalyptus radiata essential oil (1 ml) + Peppermint essential oil (1 ml) + Ravintsara essential oil (1 ml) . Prepare a mixture with these 4 essential oils. Apply 2-3 drops of this mixture previously diluted in some aloe vera gel or neutral cream base (Creme Elementaire) 2-4 times per day onto the chest. Eucalyptus radiata essential oil (1.5 ml) + Bay Laurel essential oil (organic) (1.5 ml) + Ravintsara essential oil (1.5 ml) + Calophyllum Oil (organic) (10 ml) . Rub a few drops of this mixture of essential oils / vegetable oil on the solar plexus morning and evening for 5 days. Eucalyptus radiata essential oil (2 drops) + Tea-tree essential oil (2 drops) + Ravintsara essential oil (2 drops) . 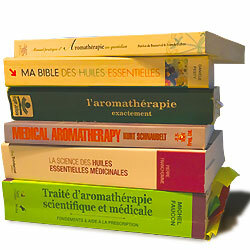 Pour essential oils in your diffuser and diffuse for about 5 minutes per hour. Eucalyptus radiata essential oil (0.5 ml) + thyme thujanol essential oil (0.5 ml) + Tea-tree essential oil (0.5 ml) + Mediterranean Cypress essential oil (0.5 ml) . Prepare a mixture with these 4 essential oils. Apply 2-3 drops of this mixture previously diluted in some aloe vera gel or neutral cream base (Creme Elementaire) 2-4 times per day onto the chest. Eucalyptus radiata essential oil (10 ml) + Mediterranean Cypress essential oil (10 ml) . This preparation is easy to do! Pour a few drops in your diffuser (preferably cold diffusion) and run 5 minutes once every 2 hours. Eucalyptus radiata essential oil (8 drops) + Perfume free Hair & Body Liquid Soap (1 spoon soup) . Dilute the essential oil and base in a tub, pour hot water and the mixture. Soak your feet in the tub for 15 minutes. Add hot water as needed. Eucalyptus radiata essential oil (10 ml) + Lemon essential oil (10 ml) + Ravintsara essential oil (10 ml) . In a 30-ml amber glass bottle, mix all essential oils. Diffuse for 10 minutes every hour. Eucalyptus radiata essential oil (1 drop) + Saro essential oil (organic) (1 drop) + Pine needle essential oil (1 drop) + Lemon essential oil (1 drop) + Myrtle essential oil (1 drop) . Eucalyptus radiata essential oil (2 ml) + Myrtle essential oil (2 ml) + Saro essential oil (organic) (5 ml) + Rosemary essential oil cineol (1 ml) + Macadamianut Oil (organic) (5 ml) . Eucalyptus radiata essential oil (1 ml) + Cinnamon bark oil (1 ml) + Lemon essential oil (1 ml) . Prepare a mixture with these essential oils. Apply 2-3 drops of this mixture previously diluted in some aloe vera gel or neutral cream base (Creme Elementaire) 2-4 times per day onto the chest. 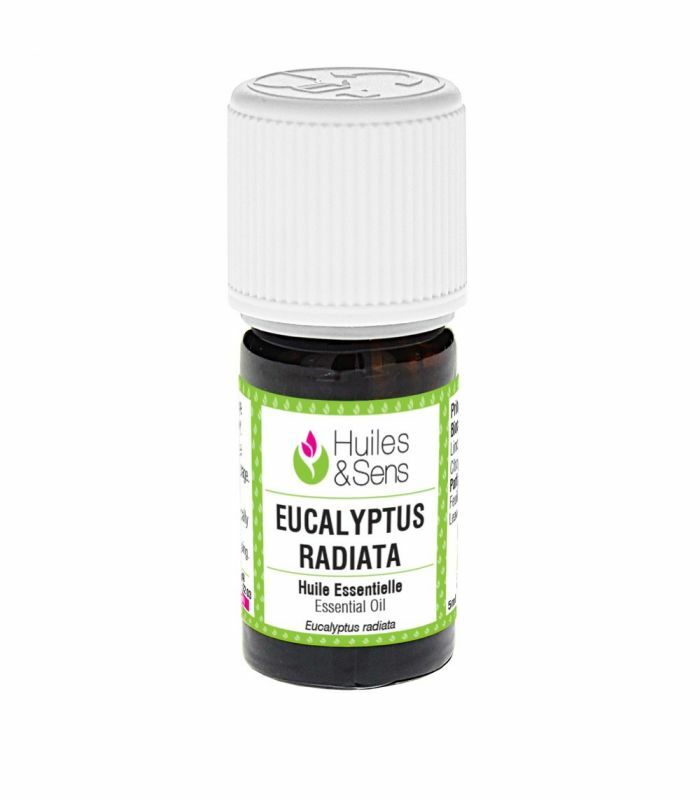 Eucalyptus radiata essential oil (1 drop) + Tea-tree essential oil (1 drop) + Niaouli essential oil (organic) (1 drop) + thyme linalol essential oil (1 drop) + Macadamianut Oil (organic) (5 drops) . Mix all ingredients and massage the contour of the ear 3x/day. Eucalyptus radiata essential oil (1 drop) + Jojoba Oil (organic) (3 drops) + Bay Laurel essential oil (organic) (1 drop) + Ravintsara essential oil (1 drop) . Mix all ingredients and massage your back and chest 5x/day with this preparation for 2 days. Eucalyptus radiata essential oil (1 ml) + Tea-tree essential oil (1 ml) + Peppermint essential oil (1 ml) + Ravintsara essential oil (1 ml) + Calendula macerate (organic) (30 ml) . Prepare a lotion with these 4 essential oils and the oily macerate. Apply 2 to 3 drops in the sinuses, avoiding the eye contour, between 4 and 7 times a day until improvement. Eucalyptus radiata essential oil (3 drops) + Lavender essential oil (3 drops) + Niaouli essential oil (organic) (3 drops) + Ravintsara essential oil (3 drops) + thyme thujanol essential oil (3 drops) . Diffuse 5 minutes per hour, every hour. You can also directly inhale from the bottle 3x/day.